This morning, I was drawn to Relevant Magazine’s Summer Reading Guide, only to quickly discover that the titles were familiar. It was originally posted in 2013. I wasn’t overly disappointed. Instead, I was reminded of how many titles are on my own reading list and some of them have been in the queue for much longer than two years. Harry S. Truman, 33rd President of the United States once said that “Not all readers are leaders, but all leaders are readers.” Whether you are sitting on the board of directors for a Fortune 500 company, or rocking your little ones to sleep each night, you are likely in a position of leadership. The personal growth of a leader is nourished by multiple sources. Our physical bodies remain healthy through nutrition, exercise and sleep. In the same way, our emotional intelligence, knowledge and understanding will flourish as we seek mentorship, take risks and study. Even reading purely for the sake of entertainment stimulates our creativity and engages imagination that is all too often reserved for Childhood. When I facilitate LifePlans, it is not uncommon for reading to make its way into the Replenishment Cycle in one form or another. The bottom line? We should do more of it. I really love when a close friend asks, “What are you reading?” To me, it translates: “I’m curious to know what you are learning and want to learn from you!” This question can quickly move a conversation from simple small-talk to a more meaningful exchange. Ask a friend what they are reading the next time you meet them for coffee and you might learn something new about someone you have known for decades! Recently, I have been asked this question by clients, coworkers and friends. I thought it might be fun to make space on the blog to occasionally share something from my bookshelf. 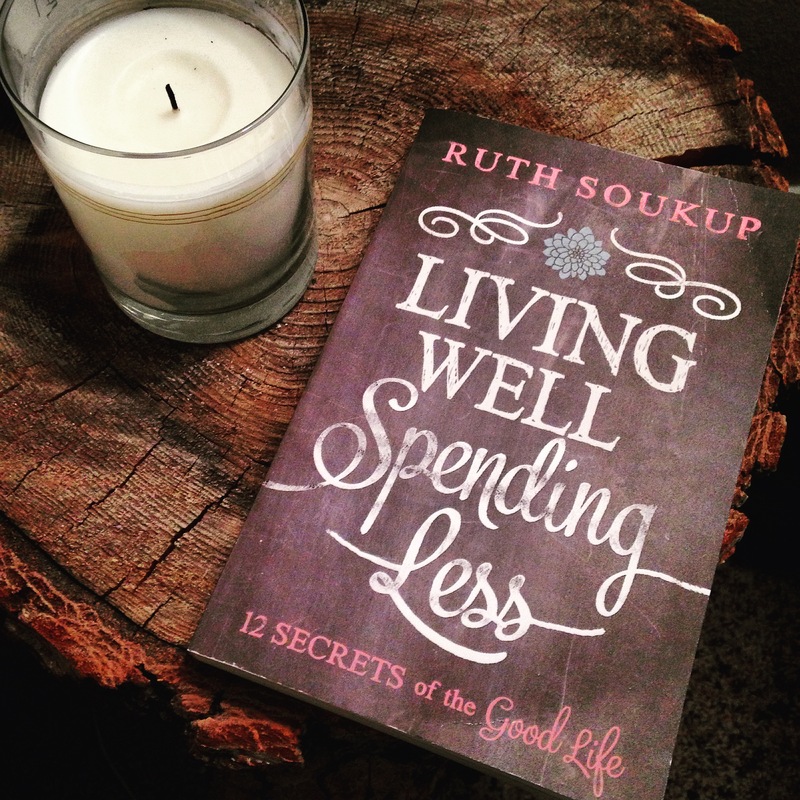 Admittedly, I am only almost half-way through Living Well Spending Less (12 Secrets of a Good Life) by Ruth Soukup. Even so, I can’t help but to encourage you to pick up a copy! But wait. . . THERE’S MORE!!! At the risk of sounding like a Saturday morning infomercial for the latest fitness program, you get access to bonus content from the author with the purchase of this book. 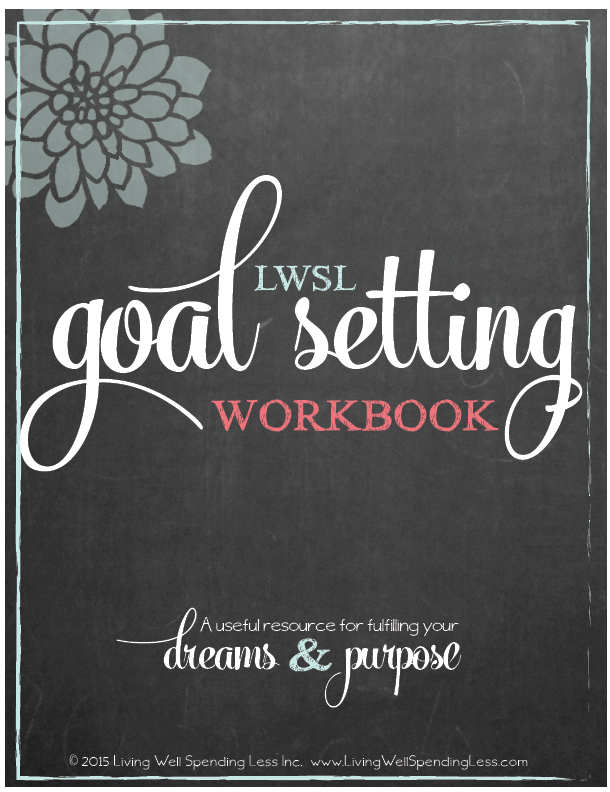 Even if you’re not quite ready to add this one to your personal reading list, I would highly recommend signing up for her newsletter to receive a download for the Goal Setting Workbook. The Living Well Spending Less website also has a plethora of printables! This is the book that is currently traveling in my purse with me! I invite you to leave a comment below to share what will be in your Summer book bag. May our cheeks be sun-kissed and our minds be put to good use! We may be days away from the Summer months, but this morning it’s a chilly 36 degrees in Colorado. The duck population couldn’t be more thrilled over the newly formed swimming pools across the terrain, but the rest of us are about ready for some serious sunshine. Yesterday morning, a dear friend courageously shared her heart with a handful of close friends. When I received her message to my inbox, I couldn’t help but want to share her words with anyone who might pause for a moment to read them. This rain… relentlessly pouring over the last few weeks, giving us moments of sunshine and a glimpse that the end of this weather is right around the corner…but yet we wake up to the sound of rain beating against our windows yet again. I usually am I the one who is in a grumpy mood due to the weather, hoping, wishing that it would stop, as I need sunshine, I need the warmth. 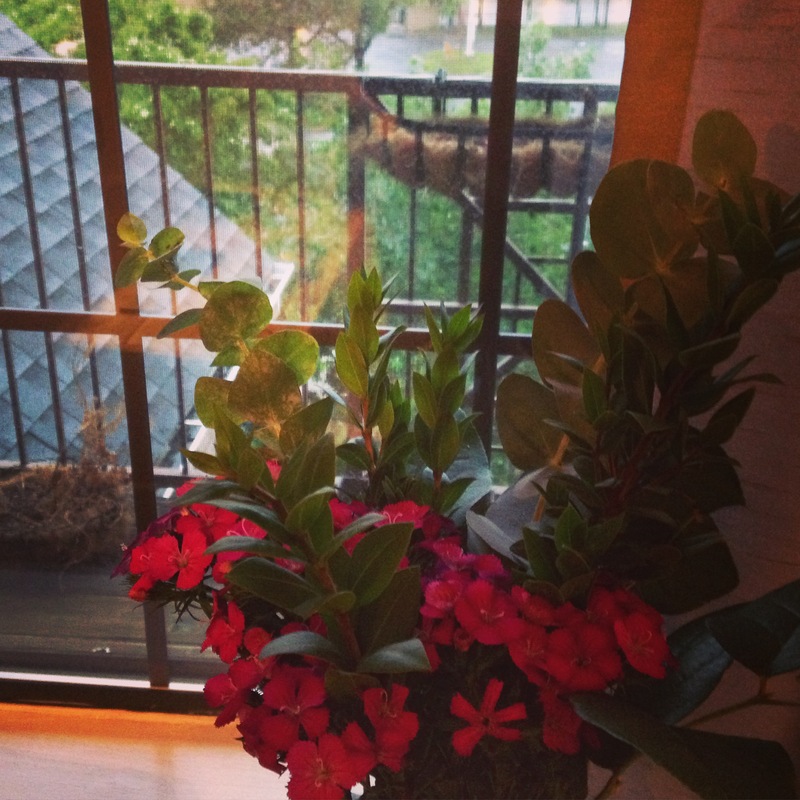 Surprisingly though, I woke up today with a sense of peace, welcoming the gray, cold, rainy weather. I heard the Lord shout, “just wait, be still, I am moving mountains my dear and the beauty that will come from this will amaze you”. A few weeks ago, Jason and my family started working on our front yard. We have a very large tree in our front yard that I have fallen in love with. This tree reflects ever season of Colorado, fall, winter, spring, summer, I love it. When we started working on the yard, our tree just started sprouting, very small, nothing much that would catch your eye. The tree is large and right there, you can miss it, however it’s not something that notice every day. 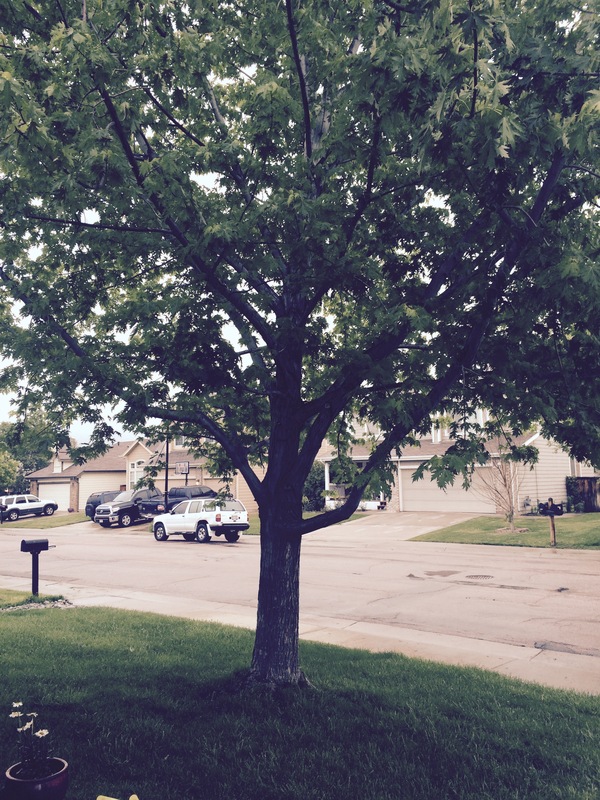 Yesterday when pulling into the garage, I slowed down as I noticed the tree is now in full bloom, green as ever, and it is beautiful. God is good. This rain and weather reminds me of Gods beauty and grace in this crazy-beautiful life we live. We wake up each day, moving forward, rarely do we have a moment to stop, look up and breathe, but when we do, we see the mountains the Lord has been moving. My life, like everyone else’s is constantly moving and changing all the time. There are also moments where I feel like I am sitting in the muck of life and I feel stuck, a lot like this weather, praying to the Lord for relief, a glimpse of hope, tired of the gray and cloudiness in life. It’s rare for me to hear the Lord, but I love when I hear the Lord’s voice, tugging at my heart, “Be still my dear, just wait. It may seem like there is no light, no hope, but I promise you, I am moving mountains; all you need to do is trust in me. There is beauty in the dark”. 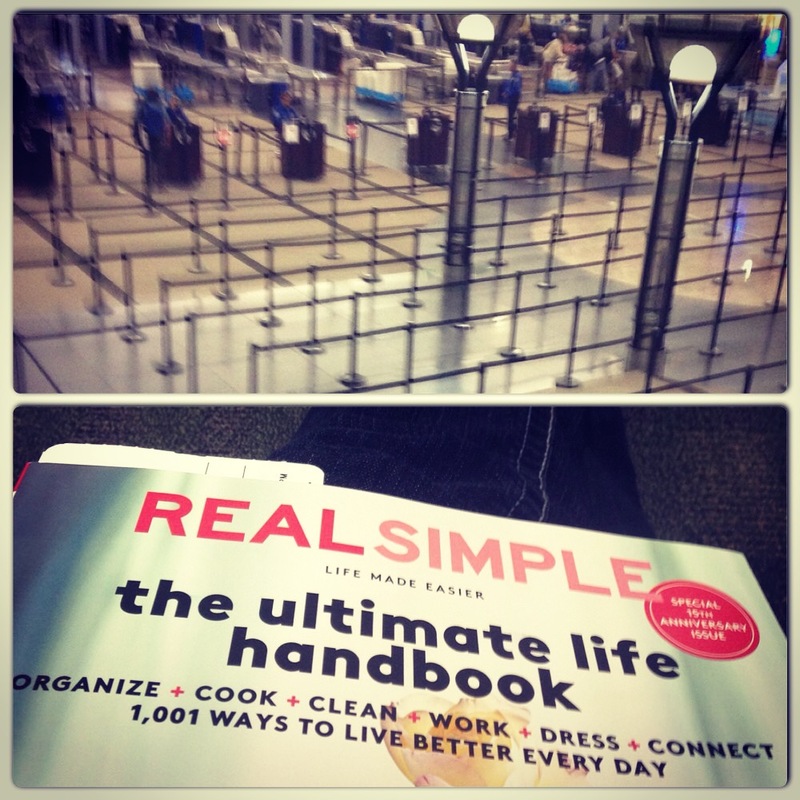 Something about the calm that passes over me at the sight of empty security lines or finding pleasure in skimming the pages of a new issue of RealSimple while waiting for the plane to board reassures me that I am settling gracefully into my thirties. A couple months ago, l traveled sans husband as we were at the mercy of the unforgiving schedule of Third Year exams. It was a quick trip to the desert and back to see one of my closest cousins marry the love of his life. A classic Vegas wedding was in store and I’m not sure it was something the Kee family ever expected. On the other side of my flight, my brother, sister in-law, and parents were anxiously waiting for the plane to touch down so we could go explore under a sea of flashing lights. The wedding day agenda? Poolside relaxation before getting ready to celebrate with the soon-to-be Mr. and Mrs. The safety presentation for my departing flight was engaging. Engaging because you can’t help but to break a side grin when the directions for the use of the seatbelt include tightening the belt firmly around your waist for safety or firmly around the mouth of your talkative neighbor for peace and quiet. Touché, Frontier. Touché. Our culture is calling us to be engaging. We are programmed to entice the world around us to stop and stare for more than a fleeting moment. If it is only a moment that we are granted, what we offer to our social media followers may have the power to elicit a ‘Like.’ Enough Likes and you’re sitting at the table with all the cool kids. My comments here are nothing earth shattering. We are all very aware of the positives and negatives that have been introduced by the likes of these networks. We can demonize them and praise them with little effort. Moving beyond the polarized sides of the coin, I want to expose something valuable that I believe is demonstrated by the 1.44 BILLION active users each month on Facebook (expandedramblings.com). Regardless of upbringing, ethnicity, salary, fashion sense, gluten intolerance, marital status, green thumb (or lack thereof), we are all capable of engaging people by sharing our stories. Whether it is by means of a social media network, a podium on a platform, or in simple cubicle chatter, we all tell a story. Both self-promotion and self-loathing carry a repulsive odor. You can catch wind of it from a mile away. One small whiff and we try to move as quickly as possible in the opposite direction. Encouragement, inspiration, motivation, creativity, grace, passion, excellence, truth, effort, teamwork, risk, humility. . . such are the ingredients for a recipe that yields HOPE. If we can move outside of our own skin for a moment to consider our audience, it might even change our tone. Who is your audience? I guarantee they are listening. Just as I was part of the audience for the Frontier flight crew, there are people who take a front seat in your life every single day. Some of them will occupy a seat for the rest of your life while others are only passing by. Regardless of their length of stay, you may serve as a catalyst that moves them toward their potential. Consider creative ways that you can build up those around you both by word and by deed. You never know who might be in need of the Hope you carry, so do not be ashamed of the Gospel and SHINE ON!! !